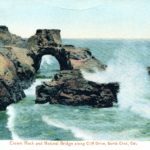 Most everyone has seen the stone bridge at Natural Bridges State Beach. 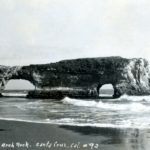 It is just one of over a dozen natural arches and bridges that have come and gone along West Cliff Drive during the past century and a half. The ocean waves act like a giant sculptor, chiseling away the sandstone and mudstone, creating natural works of art. They are ephemeral features—just as nature creates them, nature takes them away. 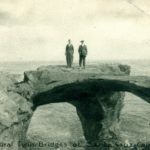 Fortunately, photographers have been recording these features since the 1870s, preserving for us a record of how the coastline has changed. Come and explore the natural and cultural history of these changes through the exhibition, “Rocks and Waves,” curated by 2017 Laura Hecox Naturalist Award Winner Frank Perry. Club Members RSVP here for walk-through. To join, renew, or upgrade for this and other VIP events throughout the year, click here.